Save Money and Make Your Concrete Look Great! 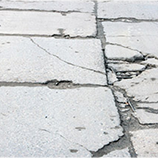 At B&B Concrete Lifting, we can perform concrete repair miracles! With our concrete lifting services, we can help you save tons of money and achieve excellent results that will last. Contact us today to learn more and to ask for your free estimate! ► Costs around 50% of what a concrete re-pour costs. ► Fixes the underlying problem of sinking concrete. ► Is fast! Most concrete lifts can be finished in hours. ► Allows you to start using your concrete in a day, not a week or more. ► Is perfect for steps, driveways, sidewalks, garage floors, patios, and more! Living with an uneven driveway or sidewalk is possible, but it’s not always pleasant. 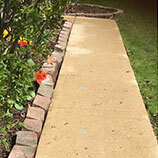 At B & B Concrete Lifting in St. Charles, we offer professional concrete leveling and raising that can fix any gaps, cracks, or uneven sections. There might have been damage caused by heavy vehicles, or the concrete may not have been poured correctly during installation, but whatever the case, our team can take care of the issue. 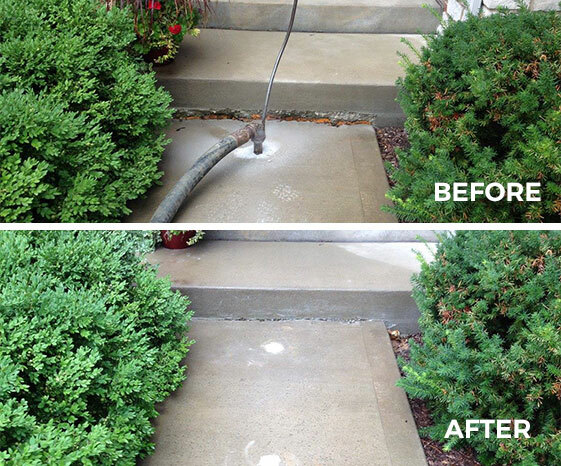 Concrete lifting not only takes care of any tripping hazards, it also improves the appearance and curb appeal of your home. When people walk by or visit your home, the sight of a cracked or uneven driveway can give a negative first impression, and if you’re getting your home ready to sell, having the driveway or garage floor repaired can improve a potential buyer’s experience when they view your home. Our process involves altering the foundation upon which the concrete sits, and does more than simply repair cosmetic imperfections. 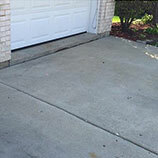 Our concrete leveling can make your garage floor, sidewalk, driveway look like new, and could even improve your property’s resale value! If you’re tired of tripping over that bottom step, or driving over several cracks every time you park your car or truck, contact us today to discuss how our concrete lifting can benefit your home. 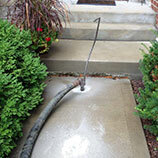 We have years of experience in concrete raising and repair, and know how to create a custom approach for every project. If you’re unsure what lifted concrete can look like, take some time to browse our Before & After Gallery. We look forward to helping you! Contact Us to start leveling today!